MacKenzie Commercial Real Estate Services, LLC is pleased to announce it has been awarded the contract to represent Anne Arundel County in their real estate requirements. MacKenzie will utilize their full spectrum of commercial real estate offerings included, but not limited to, brokerage services, consulting, and mapping and data analytics to effectively position the county’s real estate holdings. “It is an honor to be selected by the county and we look forward to working to fulfill their real estate needs,” stated Scott Wimbrow, President of MacKenzie Commercial Real Estate Services, LLC. “This assignment further proves our company’s mantra, ‘We Know Local Matters.’ MacKenzie has been a Maryland-based firm for 50 years; our competitive, full service platform continues to stand out among the competition,” Wimbrow added. 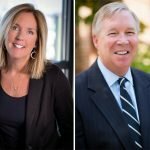 The assignment will be led by industry veterans Trish Farrell and David McClatchy and serviced from the firm’s Annapolis office. “We are pleased to be working with the County to provide representation and disposition services. With our collective sixty years of experience and our in-depth knowledge of the Anne Arundel County market, we look forward to providing the County with the high level of advisory services and cost saving tools we implement for our private sector clients,” stated Farrell and McClatchy. For more information on MacKenzie, please visit www.mackenziecommercial.com. For sale or leasing inquiries contact Trish Farrell at 410.974.9003 or tfarrell@mackenziecommercial.com, or David McClatchy at 410.953.0366 or dmclatchy@mackenziecommercial.com.